What do bad breath, cavities, gum disease, and a higher risk of heart attack and stroke all have in common? They can all be brought on by poor dental care. Let dental hygienists in training help you avoid these health problems at the Dixie State University Dental Hygiene Clinic. 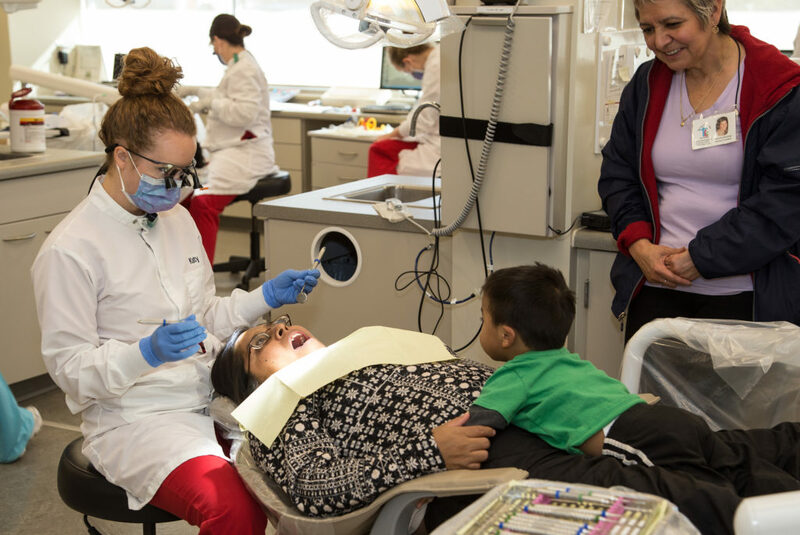 Dixie State’s clinic provides personalized dental care to the St. George community while also providing Trailblazer students with the opportunity to actively learn through clinical application. Offering dental services at discounted rates to community members of all ages, DSU dental hygiene students provide oral health care education as well as preventative dental hygiene services, including teeth cleaning and whitening, sealant placements, fluoride treatments, and x-rays. During the fall semester, the clinic is open on Tuesdays and Thursdays from 8 a.m. to 4 p.m. Additionally, during the spring semester, senior students will begin offering fillings for simple cavities. The clinic will also be open four days a week in the spring: Mondays from 8 a.m. to 11 a.m. and Tuesdays through Thursdays from 8 a.m. to 4 p.m. The clinic is located in the Russell C. Taylor Health Sciences Center on the Dixie Regional Medical Center campus at 1526 E. Medical Center Drive. Students receive extensive training and must demonstrate competency in clinical services before they advance to work at the public clinic. 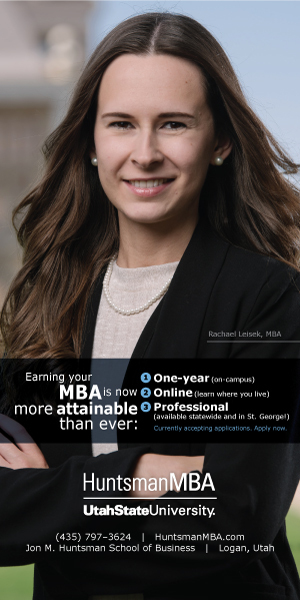 “Our students are required to follow full clinical processes each and every time, which includes creating a specially tailored plan of care for each individual patient they see,” Welch adds. 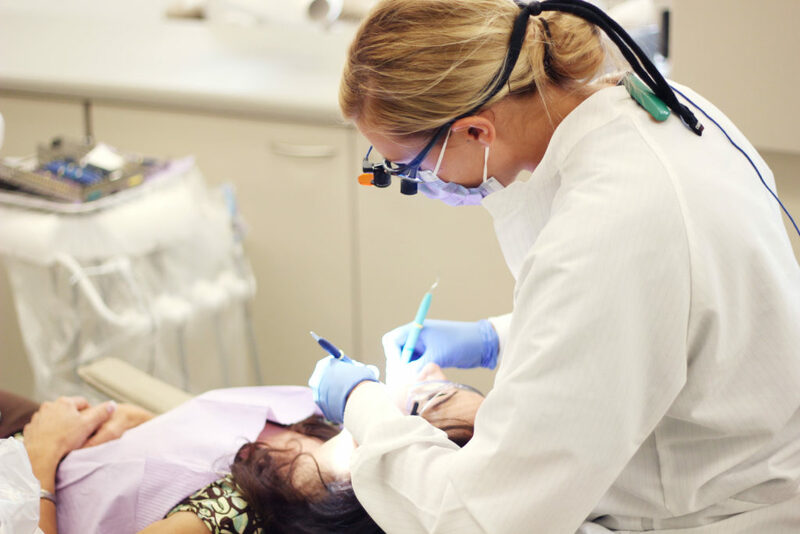 With excellent clinical facilities and accomplished faculty, the DSU Dental Hygiene Program is nationally ranked, and the University is dedicated to providing Trailblazers up-to-date, cutting edge education. 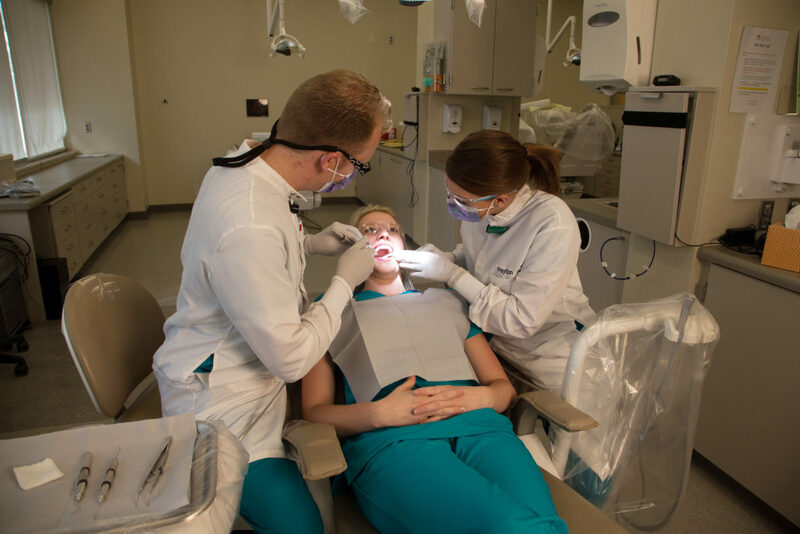 As the parameters of dental hygiene have grown in at least seven states to include restorative services like fillings, Dixie State has also expanded its program to reflect these industry changes. “We want our students to be able to practice wherever they go,” Welch says. At the DSU clinic, junior and senior students get to take charge of entire patient appointments. They make evaluations, including risk assessments for oral cancer, cavities, and periodontal disease. From there, they make analytical assessments and apply their knowledge to formulate a plan of care, which they review with an instructor before implementing. Call 435-879-4900 or email dhclinic@dixie.edu for more information or to arrange an appointment. Like and follow the DSU Dental Hygiene Clinic on Facebook for updates about specials and upcoming events.